← One of the worst (and best) questions I get asked! Success is Contagious! Thanks everyone! Congratulations and thank you to our amazing group of Coldwell Banker agents in our North OC office on an outstanding last 12 months! From Aug 2015 to Aug 2016 we closed 734 transactions with $400,000,000 in total volume! 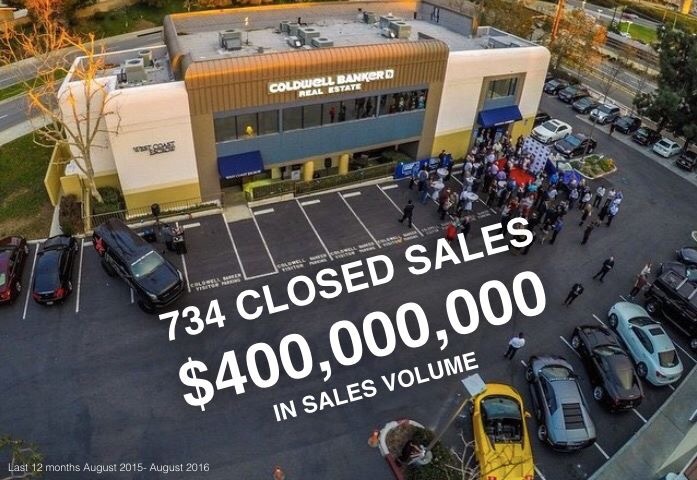 Less than 2 years since our new office officially opened in Yorba Linda, we have experienced incredible market share growth and continue to break sales record after sales record! And a special thank you to all our clients and co-op agents who made this success possible! Posted on August 31, 2016, in Uncategorized. Bookmark the permalink. 1 Comment.